Loaned out Stamford Bridge youngster may be ready to leave permanently. 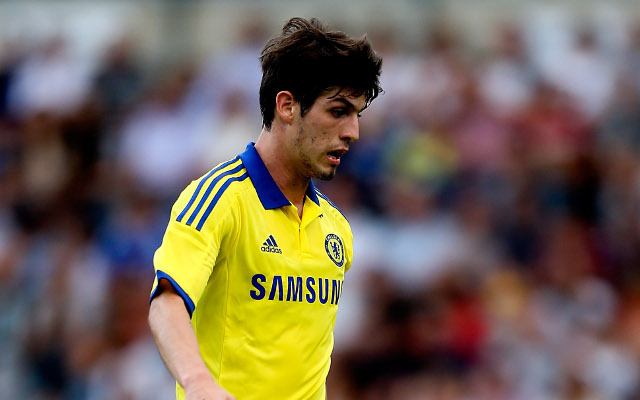 Chelsea starlet Lucas Piazon has made it abundantly clear he is ready to leave the west London side if he is not deemed as part of Jose Mourinho’s plans according to the Daily Express. The 20 year old Brazilian made an instant impact on his debut for the Blues back in December 2012, playing his part in Chelsea’s 8-0 win over Aston Villa, but hasn’t played a Premier League game since. “I wish to play at Chelsea. But football is a surprise and everything can change quickly. “I’m only 20 and anything can happen. If everything fits, I could stay in Frankfurt. “Next week I pull out of the hotel and move into my apartment and tomorrow my language course begins. Then I learn German. Chelsea paid Sao Paulo £10m for Piazon back in 2011 but the talented attackerseems no nearer to a first team role than back in 2012 when he made his top tier debut so a permanent exit may well be an option the flair player is open to come the end of his season long loan deal.